A modern method for creating a traditional, classic quilt design! Deb Tucker's method, using her Wing Clipper 1 tool (available on our website!) and no "Y"seams in construction, make this quilt go together quickly! Fun migrating geese frame the large "on point" set blocks. Use four fabrics to make as illustrated, or go scrappy! Deb Tucker's Studio 180 has many helpful instructional videos on YouTube to assist quilters, too! Quilt size: 76" x 85"
If you would like to order a greater number of this pattern than we currently have available, please use of "Contact Us" to send us a message and we'll be happy to help you! 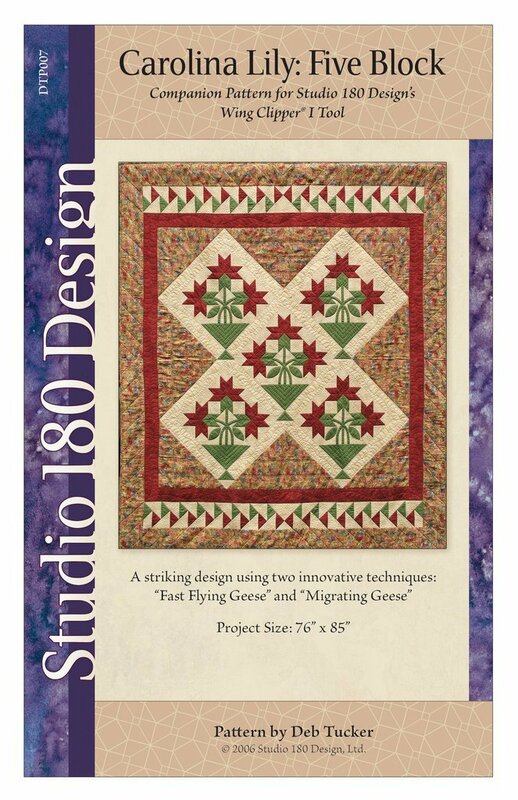 FYI--There are many patterns from Deb Tucker's Studio 180 that use the Wing Clipper I, so think of this tool as an investment in quilting enjoyment!